Custom Designed Tensioners, one offs specific to customer requirements. 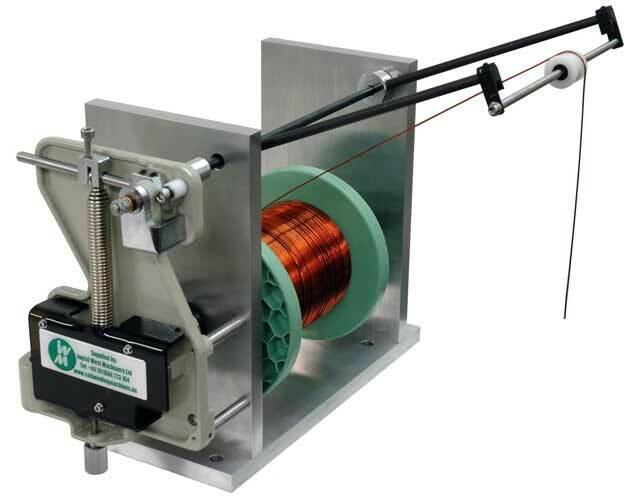 At Ingrid West Machinery (IWM) we have a lot of know how relating to coil winding, but not just "electronic" coils, we have deasigned and built production solutions for may types of coils, ranging from strimmer cable to fishing line, heater elements (nickel chrome wire) to gas sensors (15um Platinum wire). Each fibre or filament (product) to be wound, has varying requirements in the way it&apos;s handled. and often the traditional method of "end spooling" from the supply spool won&apos;t work as it twists the wire. We developed a simple felt pad system and bearings to provide smooth control & de-spool the supply spool horizontally, whilst adding an adjustable amount of friction to stop over-run when a winding has finished. The main element of tension control still comes from a conventional tensioner, mounted above the de-spooler. Provides wire tension by applying a braking force to the wire spool, eliminating the possibility of causing damage to the wire insulation and most importantly, Horizontal de-spooling prevents twists in the wire. The accumulator arm allows tension to be controlled, removing up to 30mm of “slack” or “Back” tension, caused by long flat sides of the bobbin. 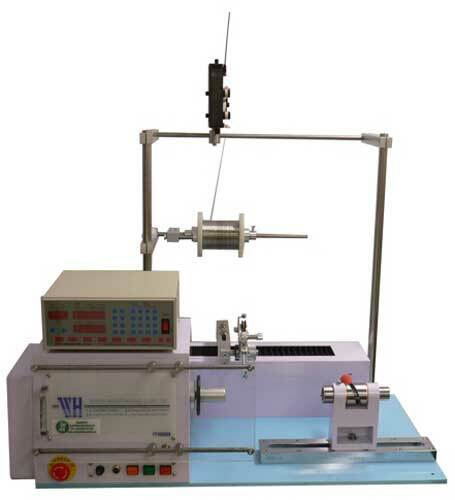 Wire tension is adjusted by simple controls with a range of approximatly 500-2500g.